Union Minister for Parliamentary Affairs Ananth Kumar on Tuesday said a Cabinet Committee meeting will be held soon to fix the dates for winter session of Parliament. 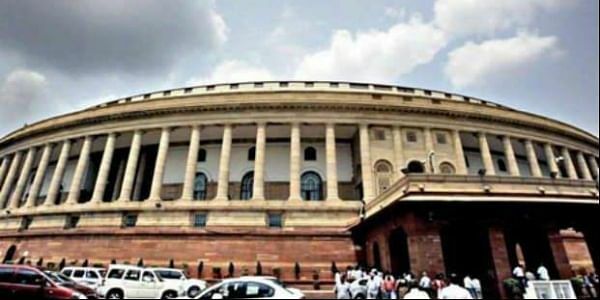 NEW DELHI: Union Minister for Parliamentary Affairs Ananth Kumar on Tuesday said a Cabinet Committee meeting will be held soon to fix the dates for winter session of Parliament. The Union Minister told ANI that the Bharatiya Janata Party (BJP) is committed to hold the winter session. “We are committed to hold winter Parliament session and in the next couple of days we are going to have cabinet committee meeting on parliamentary affairs and decide the dates,” Kumar said. Congress supremo Sonia Gandhi on Monday accused the Centre of sabotaging the winter session of Parliament on flimsy grounds. Sonia further said that the Centre cannot escape constitutional accountability by "locking the temple of democracy." She also accused the ruling dispensation of deliberately trying to delay the session to prevent the Opposition from raising 'uncomfortable questions' ahead of the Gujarat assembly elections. The winter session of Parliament usually starts in the third week of November and lasts until the third week of December. Reportedly, the government was considering a truncated winter session of around 10 days starting from the second week of December.